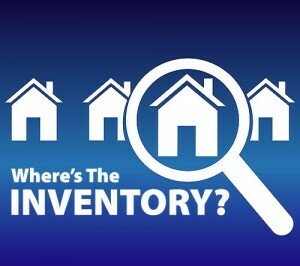 To a Realtor, our inventory is how many active houses are on the market currently. 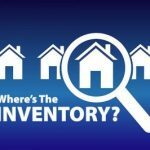 Today there is an extremely low inventory. To give you an example, 10 years ago at this time of year there would be 1000+ houses on the market in Pike Township. Today there are only about 140. I would call that an inventory shortage. This would be a blessing for new home builders except they are not building low end or starter houses, at least not around Pike Township. Currently the only houses built in Pike are in the $300,000+ price point. The average price in Pike is about $150,000 according to 2016 numbers. Builders can’t seem to make any money selling low end housing. The main reason is because low end buyers don’t buy a lot of upgrades and add-ons. That is where builders make their money. In a $300,000 house the buyer may upgrade and add on about $50,000. In a $150,000 house the buyer may upgrade and add on about $10,000. Take a drive through Zionsville where the average price of a house in 2016 was about $400,000. There are all kinds of new housing developments being built by all the major builders. Builders tend to follow the money. This presents a new problem for the home owners that want to move up. They are afraid to list their house for fear they may not find another house to buy. One work around is to sell their present house and rent an apartment for a couple of months until they find a new home. The challenge becomes, where do you find a place to rent for a couple of months in this market of sky high rental prices. Also very few buyers want to make 2 moves. The options are limited. Usually when homeowners want to buy a better house, they tend to buy a house that is 1.5 times the value of their current house. 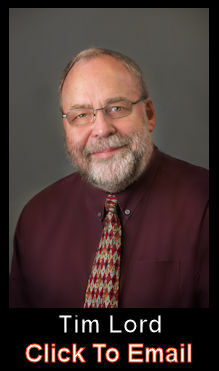 Taking the Pike average home sale and adding half again you get $225,000. Currently there are 8 houses for sale in the Pike in the $200,000 to $250,000 range. Through extrapolation if you had 1000+ homes on the market, there would be 50+ in that price range. If the average homeowner in Pike does find the perfect upgrade house for them, you can pretty much guarantee that there will be multiple offers on the house and that there will be a bidding war. Bidding wars only benefit the seller and not the buyers. In 2016 there were 148 out of 1126 (13%) houses sold where the sold price was higher than the list price. One house in Crooked Creek Heights sold for $26,000 over list price. There may be a light at the end of the tunnel for builders and entry level housing. Some builders are catering to the entry level buyer by building more spec homes. What are spec homes? 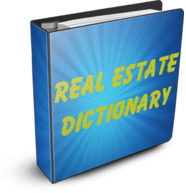 When a builder builds a home or many homes on the speculation of what a buyer might want. They are not custom homes. A builder comes up with some plans on their own and builds them hoping that buyers will like them enough to buy them. This reduces builder’s costs. What costs? Normally when a buyer wants to build with a home builder, there is hours of design time with the builders sales people, inspections during the home building process and final walk throughs. With the buyer is not pre involved, the builder can work start to finish much faster. Ten years ago during the housing markets peak and before the down turn; builders had all kinds of spec homes for sale. Problem was that when the market took a down turn, the builders were left with spec homes they could not sell or had to sell at a loss. Today builders are very weary to build a lot of spec homes. My 17 years’ experience with Pike Township Residents Association and the presentations of many builders asking for zoning changes so they can do what they want tells me that when they do entry level housing that they pack them in as tight as they can get away with. Apparently it is the only way they can afford to do a new community. One of the biggest concerns that PTRA has is density. It is a struggle between the builder, the surrounding neighborhoods, the city, the school system and PTRA. All want different things and have different ideas. I suspect that the shortage of inventory will go on for a couple more years. There is less and less of available land in Pike Township to build on. New communities that have affordable housing in Pike sells out quickly. Because of the shortage, baby boomers and empty nesters are buying the $300,000+ new homes much quicker than in the past in Pike. Over the past 7 years several Real Estate Investment Trusts came into the Metropolitan Indianapolis market and bought thousands of entry level houses to fix up and rent. During the housing market crash, a lot of homeowners lost their homes to foreclosure. They had to find homes to rent since they could not finance another home right away. During this period rents sky rocketed. I suspect we are now in a time where rents cannot go much higher without making buying a home look extremely advantageous financially. If the REIT’s decide that they want out, it could flood the market with affordable housing. 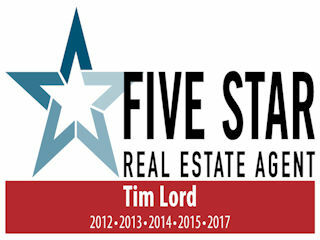 Please Note – All numbers came from the Metropolitan Board of Realtors (MIBOR) Broker Listing Cooperative. Information Deemed Reliable but not Guaranteed.